A naturally sweet dessert, topped with a crunch of toasted pumpkin seeds. 2. Place the apple, pear, mandarin, lemon juice, cinnamon and boiling water in a deep baking dish. Cover tightly with foil. Bake for 30 minutes or until the fruit is tender. 3. Make the cinnamon yoghurt by combining the ingredients together until smooth. Chill until required. 4. 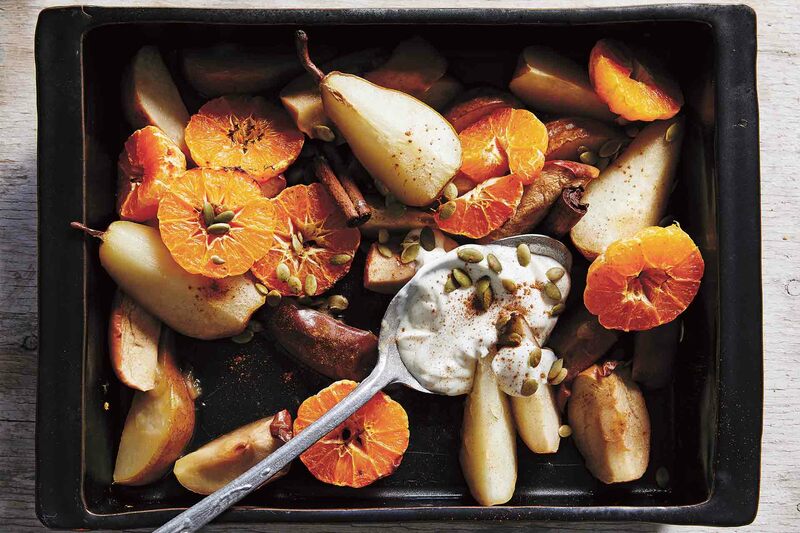 Serve the warm fruit with the pan juices and cinnamon yoghurt, scattered with the toasted pumpkin seeds.